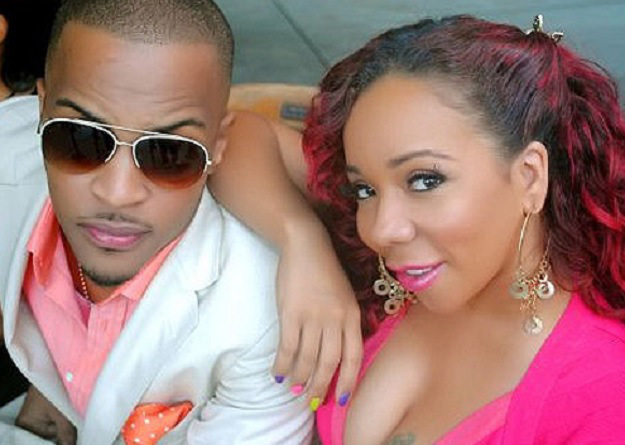 VIDEO of Tiny ignoring Floyd Mayweather on the 2014 BET Red Carpet – How Embarrassing ! It seems we have not heard the last of the whole Tiny, T.I, Mayweather drama. Keep reading and you will see a video of what looks like Tiny dissing Floyd Mayweather and trust me it is absolutely not a good look for him. At the recently concluded BET awards, Rapper T.I’s wife Tiny was spotted on the red carpet doing interviews and taking pictures. While walking past cameras, Floyd Mayweather who was right behind her reached for her arm and Tiny kept it moving. I have two theories about this. Either she did not see him reaching for her or she just wanted to avoid trouble. Either way it was a bad call on Floyd Mayweathers part. You have so much drama surrounding you and this lady’s marriage yet the only place you see fit to holla at her is on a very public red carpet? Keep in mind, during the whole T.I vs Mayweather fiasco, Mayweather did tell T.I to control his bi%ch. Maybe Mayweather was tyring to apologize? Well, if i were Tiny I would have ignored him too. You call yourself her friend then turn around to call her a bi%tch to her husbands face. That is just foul. One notable thing about the couple is that they sat together and even held hands during the awards. Although T.I looked clearly uncomfortable, it is a good start. I am one of those rooting for the couple and I hope they work things out. You can watch the video below and tell me what you think. Did she ignore him on purpose or nah? happy new month toni payne N good morning. That was pretty awkward how she completely ignored him. lol the way she swerved him, i died.